Installing a VST without the aid of an executable file is easily enough done, if you know how. If you’ve ever downloaded a file in zip or rar fromat or as a *dll file and not know what to do then this guide is for you. I’m taking the presumption that you do not know what a zip or rar file is just for the benefit of those that don’t. This little guide should ring true for most DAWs, In this case I know it works for Sonar, Reaper and Cubase. For each VST instrument or effect that you install Sonar and Reaper require that you scan afterwards to find knew plugins. Cubase I’m not sure about. Winrar is a small software program that allows you to uncompreess files, most VSTs come in *.zip or *. 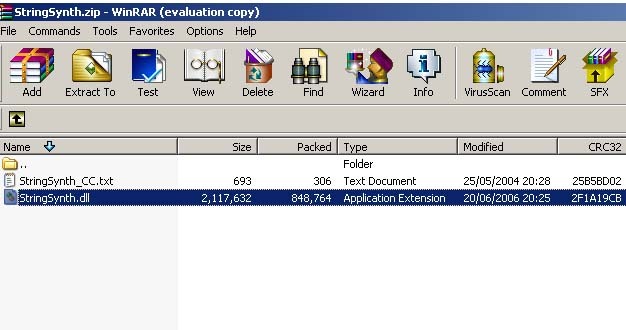 rar format winrar can open both types of file and it’s very easy to use. Download it here. 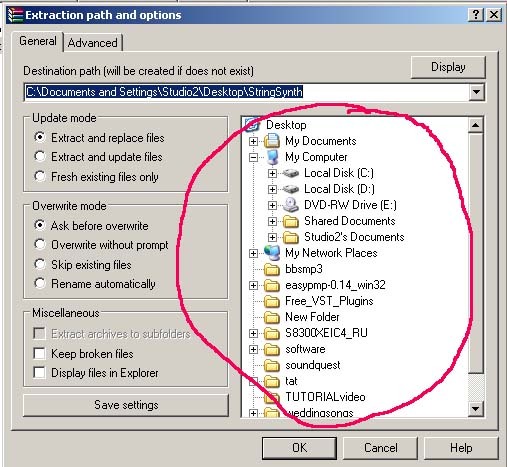 Go to my computer, click on C: drive and navigate to that folder and see if it’s there, if not then see if there’s a VST Plugins folder in C:Program Files. These are the two standard places to look. Hopefully you have a VST plugin instrument or effect that you’ve recently downloaded from the internet. This file if downloaded as a zip or rar file should now be opened with winrar. You should now have a nice new VST plugin extracted to your VST folder. Fire up Sonar, Sonar will automatically scan your vst folder for you. Reaper should do the same.